When we exercise or move, for example, we produce lactic acid and carbon dioxide. Lactic acid is by its nature acidic, and the exhalation of carbon dioxide represents an excretion of acids. Further, our immune responses (manifested as allergies and hypersensitivity) and stress responses generate substantial amounts of acidic by-products. Finally, we generate acids when we eat and digest food. For example, sulfuric acid can be produced from the metabolism of sulfur-containing amino acids, and we consume phosphoric acid as a food additive. Long-chain fatty acids also produce acids when metabolized. There are countless chemical reactions necessary for life that can only occur within a very specific pH range, so the body has many checks and balances to maintain pH within a narrow range. To regain the alkaline state necessary for our health and survival, metabolic acids from all sources must be buffered or neutralized. Through various mechanisms, alkaline mineral salts of organic anions are drawn upon to buffer acids. Many of these can be obtained by eating a diet rich in fruits and vegetables. Potassium citrate and potassium malate, for example, are commonly found in vegetables and fruits. The organic anions of these compounds, when metabolized, have the ability to accept hydrogen ions and thus reduce the acid load and restore alkaline balance. When dietary consumption patterns provide insufficient buffering capacity, body buffering mineral pools can be depleted and the intracellular environment becomes acidotic. 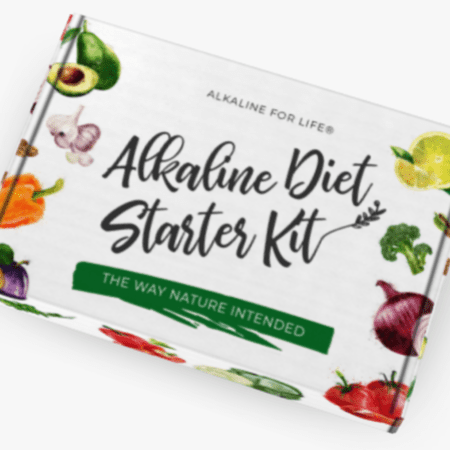 The restoration of the health-promoting alkaline state is essential to the regeneration of bone health, immune competence, and overall well-being. One tool used at the Center for Better Bones is pH testing, which helps us learn when our acid-alkaline balance is out of the range required for bone health.Learn about pH testing and how it can help you monitor your bone health in this article. One tool used at the Center for Better Bones is pH testing, which helps us learn when our acid-alkaline balance is out of the range required for bone health.Learn about pH testing and how it can help you monitor your bone health in this article. A table of foods that help make the body more acidic. A table of foods that help make the body more alkaline.A table of foods that help make the body more alkaline.